Maggie Wilson; Phoebe Spencer; Jessie Whitaker; Maggie Whitaker. Photo taken in back yard of 1 Bridge Road, facing onto rear of King Edward Street. Maggie Wilson lived at 9 King Edward Street, Phoebe Wilson at 5 King Edward Street. Reverse of photo marked July 1957. Picture taken in the front parlour of 1 Bridge Road. Photo marked on back September 1966. 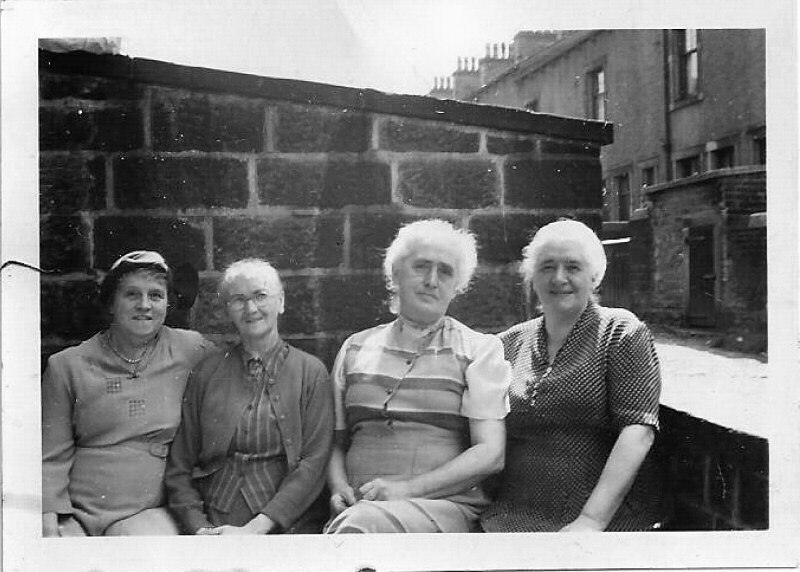 Jessie Whitaker; Maggie Whitaker; Mary-Ann Overend; Elsie Clough (Maggie Wilson's sister); Maggie Wilson. 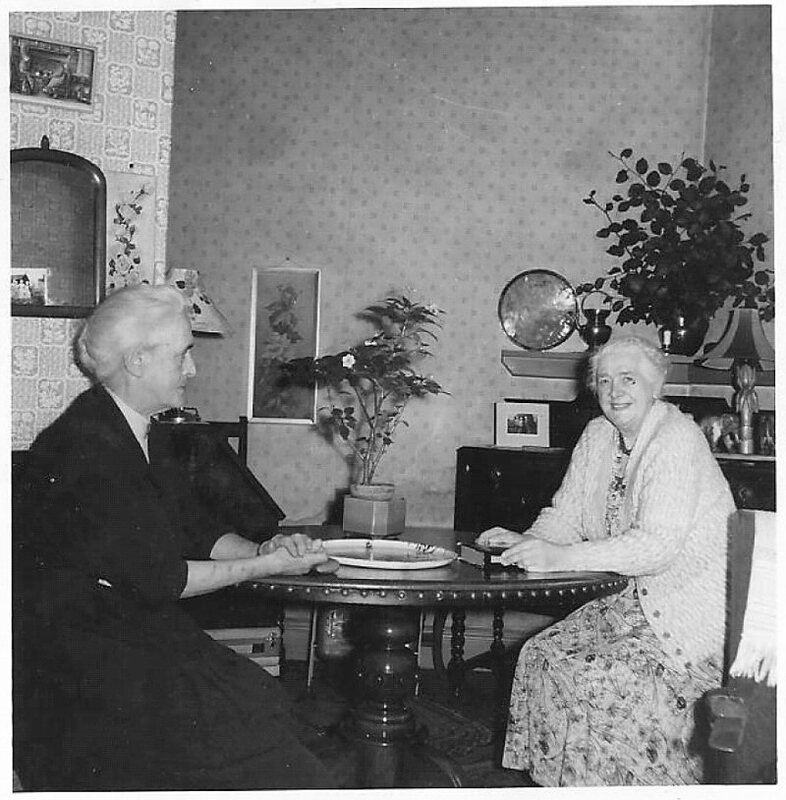 The Whitakers lived at 1 Bridge Road - Maggie Wilson and sister Elsie at 9 King Edward Street. 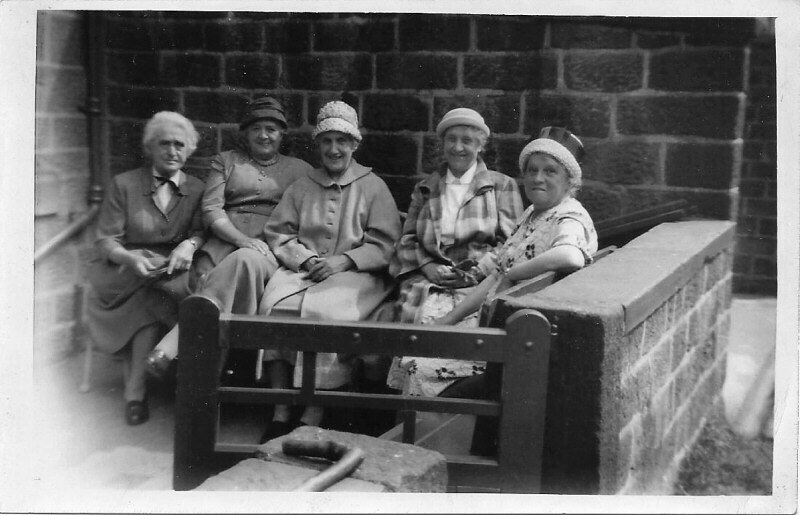 Photo marked on back 25 July 1962 "Taken by Fred Haggas after attending the service for Mr Bell".